Zion Summer Day Camp is a Christ-centered child care opportunity families of children ages 18 months – 5th grade (currently). 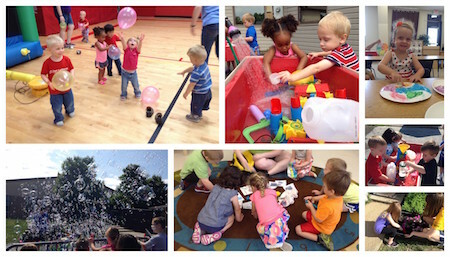 Throughout the summer children will be involved in weekly chapel services, in house field trips, water play day, art, games, time outside, and other classroom activities. On a daily basis children will participate in planned thematic activities, recreational activities both indoors and outdoors, and arts & crafts. Children in ELP and preschool will follow schedules similar to their typical school schedule. All classrooms are air conditioned and arranged by grade level and staffed by caring, qualified Christian educators and assisted by High School and College students. Upon registration completion, you will be charged a $50 registration fee per child through your SmartTuition account. If you do not already have an account, Zion’s business manager will contact you to set one up. Before Camp Care- 7 a.m – 8 a.m.
Summer Day Camp- 8 a.m. – 3 p.m.
After Camp Care- 3 p.m.- 6 p.m.
VBS, Reptile Experience, Bubble Bus, Fire Truck, Bike Days, Water Play Days, Pizza Party, Ice Cream Socials, Kona Ice Truck, Face painting fun, Inflatable water slides, and other special surprises. Specific Dates below. **Soccer, Basketball, Art and Cooking mini-camps are offered at an additional cost. **These rates are for days that you are previously signed up for. If you would like to add days you did not originally register for or drop days we need one weeks notice otherwise you will be charged a drop in rate for added days or the regular amount you registered for missed days. Campers will need to bring a morning snack, lunch, and water bottle from home daily. We will provide a snack in aftercare. Zion Lutheran School is peanut sensitive. Students in ELP or Preschool must bring snacks and lunches that are peanut free. If your children are in K-5th grade they may bring peanut items but will sit at a peanut table.